Edited by mv_288, 16 May 2008 - 06:09 AM. 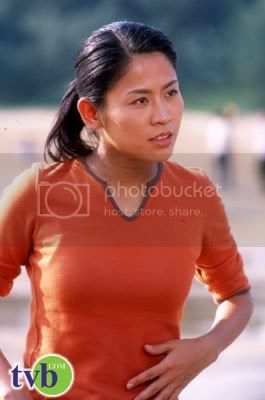 she was awesome in AMOC! watched that in 1999.. LOL do u rent chinese series in the UK? or u watch on chinese t.v station? TVB's new series "Lady Fan" will begin airing tonight and yesterday a group of cast members including Jessica Hsuan, Joe Ma, Cindy Au, Tsang Wai Kuen and Kong Chi Nei took part in a promotional event, giving out presents and playing games with the audience and having a happy Sunday afternoon. After playing games, Joe Ma signed autographs for the fans and one fan gave him some soup made from cockles, fish stomach and abalone. He says: "They say that they saw me very tired before, so they made me some soup to help my health." Straight after the event, he immediately left with Jessica to film on new series "Family of Five". This show will soon finish filming and he will then be heading out to Holland to guest star in the "International Chinese New Talent Singing Contest". After returning, he will rest for a week before starting on another show that will co-star Sunny Chan and Steven Au where he will be playing a Wulin master. Talking of his continuous filming being hard work, he laughs: "As an artiste, I hope that the work is never ending, it is a good opportunity that the company is giving me." In order to act his character well, Joe will be following a simple diet when he is resting so he can lose a little weight. As for whether he needs to learn kung fu, he says: "The company would like me to go and learn, but I really don't have time. I will try and do more sport to flex my bones a little." With TVB's recent cutbacks leading to less work for its artistes, despite everyone working as usual, there is a shadow that has been cast on everyone. Jessica feels that the company must have its own reasons for what it is doing, so she respects the decisions. When asked if she feels that the crew are unhappy whilst she is working, she says: "I don't find that and in truth there is nothing I can help with. If I get calls then I will keep working, if I don't get called, then I will rest. (In comparison, do you feel you are lucky?) Yes, we are better as artistes, but I will not think too much about it becuase you don't know what will happen in the future. There are around two weeks of filming left for "Family of Five" and Jessica will then be heading into the Mainland to film some advertisements, including an aromatherapy ad that will be filmed in Shanghai. Then in March, she will be filming a Taiwanese series in Wuxi opposite Roger Kwok for around three months. With the spread of bird flu, she will be bringing some more instant noodles with her when she is travelling. She says: "I really like eating chicken, but at the moment I daren't eat it, so I have been eating lamb to build up some body heat." Also, some magazines have suggested that she earlier felt that Joe was not yet up to standard to partner her in series, but after he gained popularity, her attitude towards him has changed and she has become very attached to him. In response, Jessica laughs: "As usual, I will not comment." 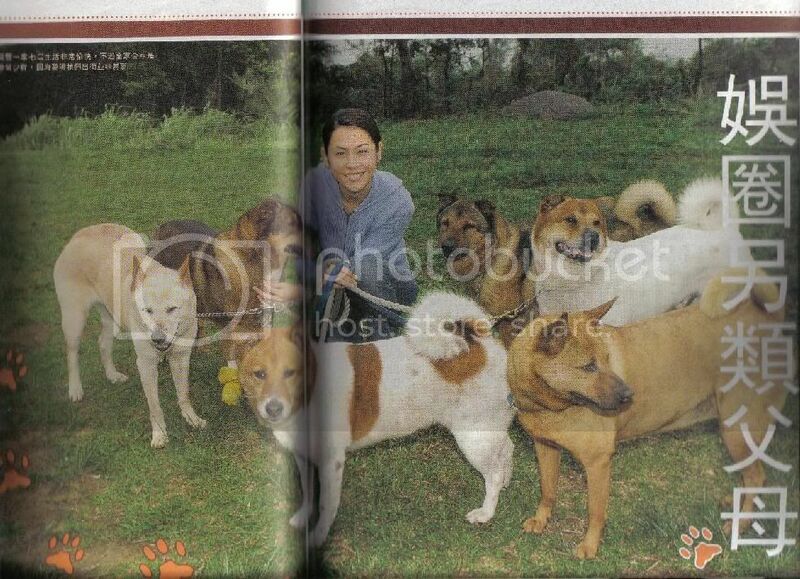 hehe cool ^___^ aww i remember Man's Best Friend! haha very cute series! 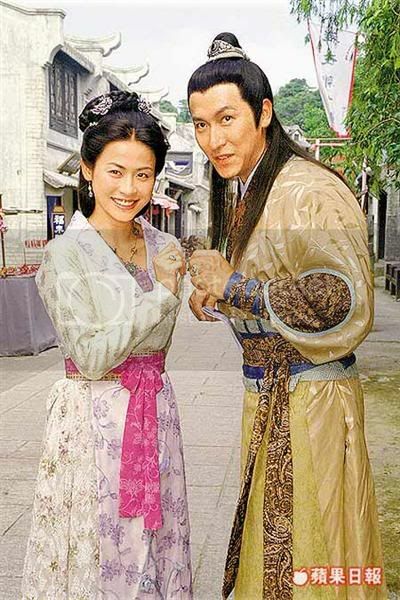 and i didnt like AMOC..but only because the storyline wasn't that good and cause of some *cough* people lolx.. anyways..but Wong Hei & Jess were so cute! Jessica Hsuan has always had a slim body and only needs to diet after she has been on an eating binge. She says: "I think that when dieting, you have to note your own health, if it isn't too good and you try too hard to diet, then it will have the opposite effect. I have quite a large appetite, so if I need to lose weight, then I will start by cutting down how much I eat, reducing my two bowls of rice to just one bowl and even half a bowl if the results are not very good. Sometimes when I see girls who say they are dieting, but still eat so much junk food. Snacks are a killer, if you have a proper meal and don't feel the urge to snack, then you will not gain weight again. Every time I reduce my food intake to a third, I can lose 3 to 5 pounds and it works." Jessica doesn't like to slow down and emphasises that you have to look after your health. She says: "I feel that the worst thing a girl can do is sit still and not move, so I am always running around. A certain amount of movement means that you will not get a belly as easily and when I take the dogs out every day, it is like a form of exercise and the best thing is that I keep doing half an hours every day." Lunch: Half a bowl of rice, low fat dishes - NO SNACKS! Dinner: Half a bowl of rice, low fat dishes - NO SUPPER OR DESSERT! Joe Ma, Jessica Hsuan, Kong Chi Nei and Shek Sau appeared on a radio programme to promote their new series "Lady Fan" yesterday. When Joe was asked if he felt pressure on his first leading male role, he says that this show was a low budget simple production, so he will not worry about the ratings. He has recently been filming for new show "Family of Five" and his wife is working overseas so he will not be able to spend it with her this year. When asked if he will be sending a gift across the seas, he laughs that he and his wife have a good relationship and do not need to give presents just for this occasion. Talking of the recent cutbacks at TVB and the changes in policies, Joe replied carefully that he feels being an artiste is about doing your own job and not worrying too much about other things. Has he had a pay cut from the company? Joe says that he still has another year's contract with the company, so they have not yet discussed the matter of salary reduction. In response to the cutbacks, Kong Chi Nei says that she has moved to the drama team and although her workload is not as high as being a host, her salary has increased since starting to film dramas. Jessica has also been filming for "Family of Five" and has been extremely busy. With her being so busy, how will she be spending Valentines Day? Jessica says she has to work on that day to film an advertisement for a skincare product. The reporters ask whether her boyfriend will be unhappy that she cannot be with him, but she laughs that he will not sulk and she has not even bought a present yet because she has no time. Jessica feels that for two people to get on, the most important thing is to be happy. In the new show, Jessica will be playing Fan Lei Fa and she indicates that this show was filmed like a cartoon so the concept is quite fresh and she feels no pressure from ratings. With her repeat ad for the skincare sponsor, has she upped her fee? Jessica says that with the decoration work on her new home, the money has already been spent on her house. When asked if she has raised security on her house after her unwanted visitors, she says that there is no need as there are six dogs at her home and this makes it quite safe. When joked about having her boyfriend there would be even safer, Jessica refused to comment and just laughed instead. Shek Sau has been married for many years and they have had an understanding for each other a long time ago, so there is no need to give flowers on Valentines Day. He laughs that this day is for the youngsters. When asked how his son Sam will be spending Valentines Day, Shek says indicated that his son has many female friends, but no girlfriend. As his son has come back from abroad, then often young people kissing and hugging is nothing unusual and this does not mean they are dating. When reporters suggest that someone was earlier referring to him as 'father-in-law', he says he does not mind people referring to him like this because he is an open-minded guy and he feels that rumours are not important, the most important thing is being aware of what you are doing. Edited by mv_288, 16 May 2008 - 06:13 AM. Roger Kwok and Jessica Hsuan were invited as guests to a promotion at a certain photographic equipment brand's showroom with the bosses hoping that they will bring a spirit of 'Wong' (fortune) into the store. Jessica and Gallen Lo are good friends and recent reports suggest that Gallen's forthcoming series "Star Chef" has seen Jessica being recommended as the female lead role. Yesterday, when Jessica was asked to confirm this, she says she has never even heard about this rumour and in fact, she will be with Roger filming in Wuxi in March for new Taiwanese series "Number One in the World". Other co-stars will include Damian Lau and Li Yapeng and filming will last until at least July, so the schedules would clash. As Jessica's contract with TVB will be expiring in April, she currently still owes TVB one series. As she will soon be filming in the mainland, the contract has been extended to September when she will return to TVB to complete her contractual shows. As for the renewal of her contract, she says she is not worried, because she has been with TVB for over ten years now. Also, Roger has been filming on the mainland for a few months now and was unable to return to Hong Kong for Christmas and the New Year. However, he made it back for Valentines Day even though he could not have a romantic date with his girlfriend, spending it out with his family instead. When asked if he had bought her a present, Roger says that he has not had time because of his filming, but he will make it up to her. Talking of his external earnings recently, is he saving up to get married? Roger admits his earnings have increased recently, but the first thing he has learned is not to spend it aimlessley and to save for an apartment first. It turns out that he loves the homes in the Mid-levels, but the prices are over $10 million and he has not saved enough yet. in fact, she will be with Roger filming in Wuxi in March for new Taiwanese series "Number One in the World". Other co-stars will include Damian Lau and Li Yapeng and filming will last until at least July, so the schedules would clash. 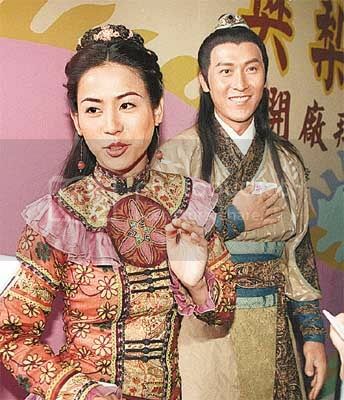 A group of cast members from 'Lady Fan' including Jessica Hsuan, Joe Ma, Shek Sau, Cherie Kong and Cindy Au arrived at the Che Kung Temple in Shatin yesterday to pray for luck as well as a promotion for ratings and at the time a group of primary schoolchildren were there on a school trip. The kids crowded round Joe and Jessica asking for photographs and autographs and the two complied with their wishes. Afterwards, the cast members turned the windmill inside the temple for good luck and again raised a crowd. This is Jessica's first visit to the Che Kung temple and she says that since entering the entertainment industry, she has learned a lot about worshipping the gods and the year gods. Jessica laughs that when she was young, she once asked her father what religion they were and her father said: "Fan Gau Lo!" [Em's note: play on words 'Gau' means religion, but 'Fan Gau' means sleeping!] When asked by reporters if she will be asking for a good romance from the fortune sticks, Jessica says that she didn't even know about the sticks, but she hopes for good ratings, her work to run smoothly and good health. Earlier, she was ill for a whole week and had to go to see a doctor. However she was too busy and did not get enough time to rest, so she will have to wait until filming finishes before she can regain her health. Having dated her dentist boyfriend for three months, Jessica says that if she requests a fortune stick, she will not ask about romance because she will be afraid if it is a bad result. She feels that some things are better off not knowing and just going along with the flow. Joe Ma indicates that he does not follow any particular religion and only offers prayers to the gods when he is attending a filming blessing. As for his popularity with the schoolchildren, Joe says that maybe because he is currently filming "Family of Five" with a group of child actors, so he has been infected by some of their innocence. Joe seems to love children, but in the show, he is an uncle and has to keep a serious tone. At home on the other hand, Joe is a good father, whereas his wife is the stricter parent to his son. Lady Fan is still playing in Hk right? so it won't be in viet in a while right? so has anyone seen it is it good?? hehe i know jessica series are good but is it extraordinary or just avarage??? isn't jessica getting like at the least a six figure(hk dollars) salary per episode? actress.. at lest shes one of the few artists who re friendly enough to leave msgs to fans in her forum. what a nice lady!!!! jess 4ever u know! Jessica Hsuan headed out to Korea recently to film a new TV ad for Neutrogena and as the weather there is just 10 degrees C, she not only brought some winter clothes with her, she also took some hot water bottles to keep warm. However, the bottle burst as she was charging it up and she was a little shaken. Luckily the sponsors had prepared an electric heater for her to keep warm from when she was off camera. Visiting Korea for the first time, Jessica had planned to take advantage for a shopping spree, but as the weather was rainy, the filming was delayed and did not finish until the evening and her plans were dashed. In the end, she could only try the Korean Ginseng soup and have a small shopping spree at the airport before she left, buying plenty of Ginseng and souvenirs. "The 15th Annual Television Appreciation Awards" were presented yesterday. Two TVB dramas, "Square Pegs" and "Triumph in the Skies" were also in the top show line up and the leading stars were present at the awards ceremony to express their reactions. Among them, "Square Pegs" star Roger Kwok says he hopes to film a sequel. Roger's career has reached new heights thanks to "Square Pegs" and his role of 'Ah Wong' that pushed it into third place in the rankings. Roger says: "I am very happy and it can be considered as my representative piece. It has been over a year now since the show finished airing and it is still being enjoyed by many people and this makes me very excited. The credit goes to the backstage crew, because without such a good script then even a miracle wouldn't have helped. I know that everyone is hoping for a sequel and originally I felt that making a sequel may put a lot of pressure on us, but talking about it now, I think it is time to put pressure behind us and happily film the next chapter." However, no-one can foretell when the sequel will be filmed. Is this because TVB's executives have not yet made up their minds? Roger indicates he can't say because it is easier said than done. It is possibly down to the recent changes in TVB? Jessica Hsuan recently returned from Korea and found herself vomiting constantly and eventually had to visit the hospital. After treatment, she is fine now and denies she is pregnant. With Jessica so sure, is she using protection? She says: "I don't want to talk about these things." As the Western doctor says she is fine, she also went to see a Chinese herbalist who indicated that she had stomach flu that made her ill and needs to take medicine for a further month to fully treat the condition. She laughs that the Western doctor told her that by not letting go of any chance to make money, she may not have a chance to enjoy it later. In response to this, she will be taking on less work this year, after all health is the most important thing. Appearing at the award presentation yesterday, Jessica feels surprised that a production from over a year ago can still receive an award. She says: "To me, it is an acknowledgement of eleven years in showbiz and I am happy to have been accepted by everyone. As an artiste, it is not easy to find a high quality script and even then it may not get good ratings. For this show to have both, I am very satisfied. However, this is not my representative piece, it is definitely Roger's though." haha don't worry maybe your dream will come true someday! you'll be a famous TVB actor like louis koo or gallen lo, and costar with jess in every series you're in! dont give up hope!! TVB will be holding an unprecedented large scale press conference involving all the executives and the enterprise General Manager Ho Ding Kwan and also inviting a group of artistes. Reports indicate that the event will be a morale boosting exercise to combat the recent negative press surrounding the company's economising activities and will showcase some of the high profile productions that are planned for the coming months as well as introduce some new blood in the organisation. Yesterday, Jessica Hsuan received notice to appear at the press conference, but she is not clear as to the details of the presentation. She says: "If the company asks me, I will attend. (To calm the forces?) The company must have a reason for organising this, so as an artiste, I have to do my job." Charmaine Sheh and Myolie Wu have also been invited and Charmaine says: "The company is putting a lot of importance on this presentation, they even cancelled my location shoot because of it. If the reason is to try and calm everyone down, then I should attend." With the effects of the recent changes at TVB, a special press conference was held yesterday shouting "New Mission, New Outlook" to boost the morale of the staff and even Jessica Hsuan who is currently on vacation was called in to attend. Despite being rumoured to be losing her status, she was still important enough to be placed in the front row next to the executives. Jessica arrived early and was reported to be in high spirits, not affected by the reports at all. At the photocall, she and Nancy Sit were situated either side of the execs and Jessica laughed: "The entertainment magazines are full of entertainment. They do not affect me, I still just do my work as normal. (Does standing in the top spot mean your position is unchanged?) Maybe I am getting old so I get respect for being an elder." As well as Jessica being in the front row, Tavia Yeung and Melissa Ng were also placed there, whereas the heavily promoted Shirley Yeung was relagated to the third row and almost covered by Moses Chan. When asked how she managed to get demoted like this, she says: "I don't know why, but it doesn't matter. Anyway, I was wearing trainers and seeing Moses so tall, I had already stepped onto my toes to make myself taller." Among the forty TVB artistes present at yesterday's press conference to support the newly promoted executives were Nancy Sit, Adam Cheng, Ada Choi, Jessica Hsuan, Charmaine Sheh, Sonija Kwok, Anne Heung, Shirley Yeung, Myolie wu, Bernice Liu, Bobby Au-Yeung, Sunny Chan, Nat Chan, Raymond Lam, Steven Ma, Woo Fung, Bosco Wong and Joe Ma. In a section that signified a joint unity towards their common goals, a gesture of placing a pearl into the TVB logo was made by each artiste and Nancy Sit who likes to make some atmosphere called out the company motto to a round of applause. When it was mentioned that she was stealing the limelight from the absent Liza Wang and Lydia Shum, she smiled and said: "As long as we unite, the most important is working together." She indicates that the company told her she had to attend the event, so she finished her filming early to be there. As for the absence of Liza and Lydia, she says that maybe she was asked due to the popularity of "Virtues of Harmony" attracting more sponsors. New head of the artiste department Lok Yik Ling has been the focus of the staffing moves and magazine reports have suggested that she favours Moses Chan and Kevin Cheng and is trying to topple the power of Louis Koo and Jessica Hsuan. To this, Ms Lok reponds: "Louis could not attend because he has work commitments. He has wanted to make a series all along and at the moment we are looking into this." As for suggestions of promoting Kevin, Ms Lok says that the company wants to promote all of the people it signs, especially the male stars because they are more difficult to find. She gives the example of TVB's most recently promoted male stars as they are all very good. She goes on to praise Bosco Wong who has become entangled in some negative press recently, saying he is a good man and has recently signed his life away to the company. After saying this, she dragged Bosco over and said to him: "Be good now! Don't create so much news." Bosco replied a little embarrassed: "I know, I should work hard to repay the company. Thank you Ms Lok." He reveals that he has signed to TVB for eight years. Although she is out of favour, Jessica Hsuan was arranged to stand next to the executives in the photocall and it could be seen that she is still important to the company. However, she smiles and replies modestly: "I have been in the industry for eleven years and I am getting old now, so they should respect the elders." She insists that no matter what happens, she will continue working. Earlier she was on vacation so she didn't know what was happening. Now that the company has explained the situation, then everyone is clearer about the company's future and this will definitely help with morale. some news, Ada & Jess are such good friends! its so sweet. Ada Choi's movie "The Miracle Box" has reached box office takings of $5 million after the Easter holiday period and yesterday a special seminar was held as Ada's good friends Moses Chan and Jessica Hsuan attended to show their support. Ada said candidly that she was very happy with the good results, so she wanted to share with the audience all the good feelings that she had whilst making the film and despite nursing a cold, she was still insistent on attending. At the moment Ada is taking as much time as she can to rest because in May she will be heading into Shanghai for some filming. As for the SARS scares, she says she is not worried and feels that as long as she is careful to get back to good health and boost up her immune system then she will be fine. Of course she will need to ensure she keeps up her personal hygiene. Jessica is also resting at the moment so she had the time to attend and support her good friend. She reveals that she will begin filming with TVB again in August and after being admitted into hospital twice last year from constant filming, having to endure 24 bottles of IV drip, she feels that her health is the most important thing so she has turned down two series from TVB and a Mainland company. She says: "Originally there was a Mainland series that I had to film with Roger Kwok, but the boss was very good and waited until the very last minute for me, but when I couldn't do it, he asked Michelle Ye instead." When asked why she was not with her boyfriend, she says that her boyfriend is a very low profile person, so he will not appear in such public events. Also, there have been reports that Moses's fee is cheap and so he has been taken on as ambassador for PCCW in place of Steven Ma. Moses says that he takes little notice of these reports, especially as he knows Steven very well and they will not discuss these things as they both understand each other. Edited by mv_288, 16 May 2008 - 06:18 AM. Jessica Hsuan brought her eleven year old pet dog 'Boon Boon' to a radio show yesterday for a dog fortune teller to look at. Jessica says she has six dogs at home and this one is her favourite as she found him straying in Clear Water Bay eleven years ago and she decided to keep him. She says: "This dog is very receptive and understands human language. A lot of people say that I look a lot like this dog!" Jessica says that she greatly supports people who take in stray dogs: "Actually, stray dogs are very intelligent and have a strong will to live. All the dogs in my house have been found on the streets and they are all full of vitality and strength. On one occasion, all six of them came down with dog flu at the same time, but I only had to give them human flu medicine twice and they got better." However she is very worried that this dog is very old now and has problems with its liver and kidneys so it is currently taking medication for it. When asked if she would follow Vivian Chow's lead and not have children so she can look after her pets, Jessica says: "No I won't. Actually pets and children can grow up together. Overseas, the parents are all willing to let children play with the pets. (Do you choose boyfriends who also love your dogs?) Yes, I suppose." Just to let u all Jessica fans out there know that we have a special surprise project under way. We would need a little message from each one of you. Please do take a few minutes to send us an email to just let us know how many people are interested. Furthermore, it will allow us to have ur email address to send u additional info. Jessica's such a great actress!! She's one of my favourites and I think that she can act really well. She was really good in Square Pegs. I loved that show (except the ending) when she was paired up with roger kwok. They looked really cute together. She looks good in costume and modern series. She was really good with Gallen in Golden Faith as well but I think I prefer her to play the sort of character in Square Pegs. Jessica is a great actress!! She's one to do well in both costume and modern series. I especially like her in costume because she can be so pretty in them, for example, in Square Pegs, A Step Into the Past, and Lady Fan. she was great in Lady Fan with Joe, I loved that series!!!! Jessica Hsuan and Yuen Siu Yee took part in a promotional event and as a dog lover, Jessica was playing with Siu Yee's little dog, but whenever the dog tried to lick her on the cheek and the ear, she kept trying to avoid it and causing a few laughs. Later, she explained: "Actually I am very used to being licked by dogs because my own dogs often lick me, but I just found out that Siu Yee's dog likes to eat its own poo! It doesn't matter though, maybe the dog has had a bath and at least I couldn't smell anything when it was licking me." Jessica says she has a great patience with animals: "Like my dog, it peed against my several thousand dollar wooden chair earlier and has made it start to crack. Sometimes when it is in a mood, it will even pee against the sofa - I have only moved into my new house a few months ago!" i haven't been in here for ages, but yeh. just here to show my support for jess. Jess and Joe's new series "A Hanful of Love" will be airing on June 21 in HK, along with Flora and Roger's "To Get Unstuck in Time". Jessica Hsuan and Joe Ma were guests on Nancy Sit's radio show promotiong new series "A Handful of Love" and a group of fans waited outside the radio station for them. After the interview, Jessica showed her friendliness as she posed for photos with each of them. Talking of Joe's fans who had come over especially from Japan to say happy birthday to him. Jessica says that she also met some Japanese fans earlier and although they had a language barrier, they were all still very happy. It turns out that she does keep in touch with her fans on the internet and they are mostly female like Joe's fans, however there are some male fans who tend to be more shy and reserved, who just watch her from afar when they come to her events. Even at fan meets, they will never approach her for photographs and Jessica has to approach them instead. Jessica laughs: "They are both faithful and obedient, to have some fans who silently support me is a great thing." As her parents have settled in Beijing, Jessica will call her father every year on Father's Day, but this year will be special because her father asked for a gift of some household items that they have bought in Beijing. Jessica says that her father does not put much importance on special occasions, not even his birthday. Jessica Hsuan, Joe Ma, Mimi Lo and Natalie Wong were among the cast members at a promotion for "A Handful of Love" yesterday. As Jessica was both fatigued from the heat and a little hungry, she was feeling unwell and needed to rest in the car. With the 32 degree heat and the event taking place outdoors, the cast members took their turns to introduce their characters in the show before splitting into teams to play games in the lake, however Jessica was unable to take part. After some rest and having something to eat, Jessica felt a lot better and said: "As I had nothing in my stomach, I was feeling a little weak and dizzy. Also I knew I would have to row the boat with some children and I didn't want to risk it." Jessica Hsuan, Joe Ma, Don Li and Mimi Lo joined a group of cast members from "A Handful of Love" for a rowing and barbecue party in Taipo yesterday, but as the weather was so hot, many of the cast members were rather 'casual'. As for Jessica, she had some tummy problems and therefore did not take part in the rowing as she indicated that she has been working too hard and will be cutting down on her work from now on. Jessica was already feeling unwell before the event had started, so she didn't get onto the boat. She points out that the problems with her stomach are down to working too hard, so her Chinese doctor has told her that she has been pushing herself so hard and not eating properly. She also says that many people in the industry suffer from ilnesses of the digestive system and they must address this issue. Therefore she has reduced the series she has accepted as of this year, only taking on "My Honourable Wife", which will begin filming in August. After finishing her promotional work for "Handful", she will be taking a rest until August and enjoy some normal life as she laughs that she will be eating as punctually as taking medicine. Joe Ma was injured by some splinters on his oar and one went particularly deep and needed his skin to be plied away to remove it. He says that he feels Jessica is amazing when she is working because she is very determine and she will not feel unwell until after finishing work. In "Handful", Joe will be playing a piano teacher and he admits he has never played such a studious character before. After the promotions, he will be concentrating on filming for the Olympics and his role in the sequel to "Hearts of Fencing". 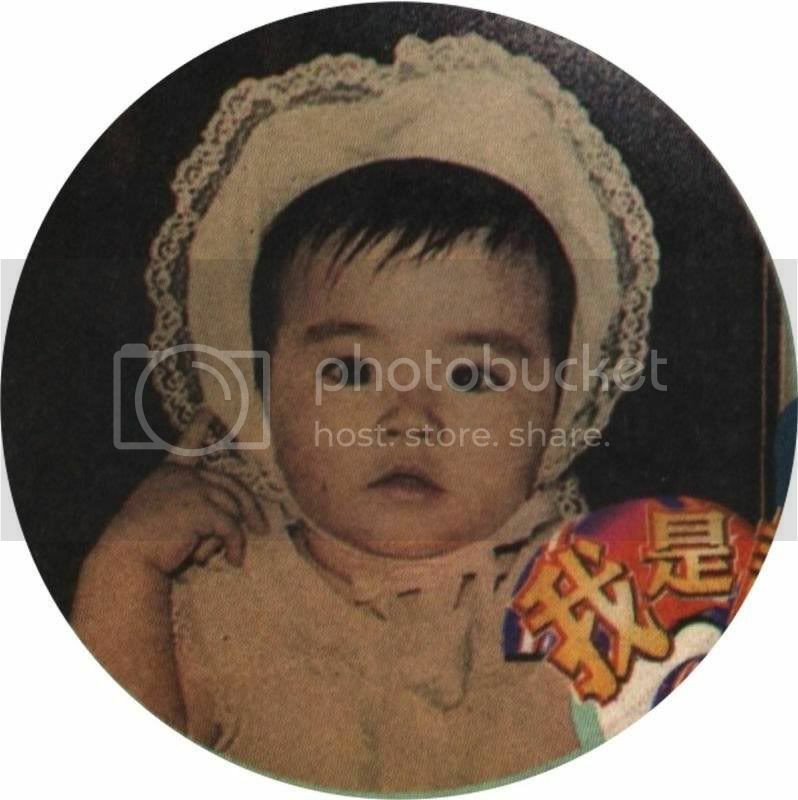 Don says that his auntie has just had a baby recently and stayed at the hospital that recently had a food poisoning outbreak, but luckily she moved hospitals before the outbreak occurred. He thinks that some medical staff can be quite clumsy at times because once he had an injection for anaesthetic and they left the needle in his arm. Edited by mv_288, 16 May 2008 - 06:21 AM. In recent years, the rules for Hong Kong artistes to film in the mainland have been relaxed and together with the substantial fees, many popular stars have headed up north to make some money and TVB's monopoly on the leading actors is no more as many stars leave the nest after working out their contracts and sign for external managers. Last year, the company lost Gallen Lo and Flora Chan and although some will still return to TVB to do the odd show out of 'respect', they have still lost out on the control. TVB knows that it cannot match the salaries offered by other companies, so in order to keep some top stars on their books, they are making the biggest compromises on their contracts. Take Jessica Hsuan for instance, her contract is due for renewal shortly and in order to show their sincerity, TVB have offered her anything she wants. Jessica has used her health as the reason to request a 'One series per year' contract. On this rare occasion, TVB has agreed and Jessica has signed a further two years with them. In order to keep their talent, TVB has no choice but o encourage more stars to stay in this way. As Jessica is the only top female lead left with TVB management, she has naturally taken the top female spot and in her new series "My Honourable Wife", she will be working opposite Sunny Chan in yet another 'strong wife' role. Yesterday she was back at TVB City for a meeting with the producer and when asked about her contract renewal, she admitted that the company has given her a great degree of freedom: "The company knows that I am in poor health, so they have accepted my request of one series a year. I am happy with the other terms and I have had a good relationship with the company over the past twelve years. I start work in August." As for the suggestion that Jessica could have had whatever she wanted, TVB production resource deputy director Lok Yik Ling responded: "I am not in a position to comment, but the most important thing is that the artiste is happy. The company truly wants to help its artistes progress in their careers." An experienced female lead signed with TVB management. Broke the ratings records with "Square Pegs" last year. After her contract with TVB ended last November, has headed out to develop her career and signed with a new manger. Recently with her new series "To Get Unstuck in Time", she has not appeared at any of the promotional events and there have been rumours that she has upset the TVB executives. Signed with TVB on a 'per series' contract and has always had a good relationship with the company, but has recently turned her sights elsewhere. Always aware of her origins, she often returns to film for TVB, but is just a 'per series' contracted artiste. Signed with TVB on 'per series' she has changed to another management company. Heavily promoted by TVB and on a TVB management contract, but is still a little way behind Jessica in terms of years of service. Dragged down earlier by a string of gossip and rumours, she is now putting this behind her as she prepares to surge forward. Edited by mv_288, 16 May 2008 - 06:22 AM. After Jessica's successful contract renewal with TVB on a 'One series per year' contract, there have been suggestions that she has been overly demanding in her terms, but TVB Production Resources Deputy Director Lok Yik Ling indicated that there is no such incident and that she is a disciplined and worthy artiste. Both parties have co-operated well all along and an agreement was met quickly. Ms Lok emphasises that TVB will do its best to discuss renewal terms with each of its artistes when their contracts are up and she does not agree that this is due to losing many of its leading stars. This is merely another form of contract they can offer. 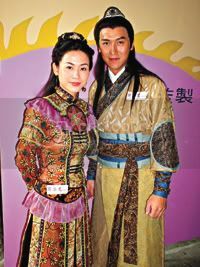 There have been indications from Ekin Cheng and Gallen Lo that they wish to return to film for TVB, but this is still under negotiation. is that an advert of a product that xuanxuan is endorsing for? whats the product? jess's recent new series is handful of loves rite?? ?